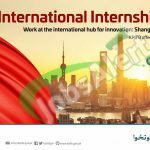 This page is providing KPITB International Internship Program 2017 Shanghai Shenzhen Beijing & Taipei Apply Online www.kpitb.gov.pk. For all those candidates who are looking for the International Internship Program and belongs to KPK so tap to this page because Khyber Pakhtunkhwa Information Technology Board is inviting the willing, caliber and well-disciplined applicants are required to get the KPITB International Internship Program 2017 for Shanghai, Beijing, and Taipei in ample of the disciplines which will be displayed in the next heading. The main motive of this internship program is to equip ICT graduates from Khyber Pakhtunkhwa with the most advanced skills in the ICT sector by doing all sort of IT Practices and this program provides a unique offer to the KP candidates that they can polish their skills and get hands-on expertise at the leading companies in China and Taiwan over a period of six months and one more benefit is that, that candidates will learn the Chinese Language during course of learning. As the aim is before you now, I will let you know about its further details below. 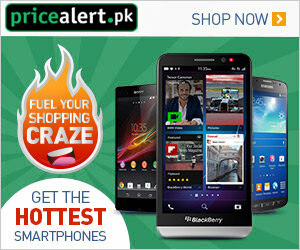 KPITB is abbreviated as Khyber Pakhtunkhwa Information Technology Board is the Government body which is playing its vital role in the development of Information and Technology Board by enunciating various developmental programs, career offers and internship programs as well to make the name of this board on the top. Being a Govt body it offers Govt jobs of different educational levels. All the willing applicants need to possess the educational degree in Electrical/ Electronics/ Computer Software/Computer Science/Computer Systems/ Telecommunication/Mechatronics Engineering or any other relevant field (at least 16 years of education) is required to apply for this program. All the desirous applicants are required to apply online from the given link below or from the official site of KPITB Board. The deadline for applying is 29th October 2017 till 11:00 am. Applicants who meet the said criteria and are eligible will be selected for this program. Apply for KPITB Internship Program 2017 Apply Online | www.kpitb.gov.pk from this page for which at least 16 years of education holders are welcome to apply before the closing date prescribed above.